With changing times many communities have witnessed geographical shift. Garhwal is one such place that has experienced huge influx of different communities’ decades ago and now forms the part of the early inhabitants and few prominent communities ever known here. This community is the descendant of Aryan race and is believed to have migrated here from the southern region or from the nearby tracts of Himanchal Pradesh state, to where they had migrated from Hindu Kush via Kashmir region. Few of the Rajputs are said to have come from the State of Rajasthan to escape from the invasion the then done by the Mughals. These people combated Kols and Koltas or Doms who were living in Garhwal during that era. Earlier, Rajputs settled to do agriculture but later they diverged in to different professions of their choice and as per skills. Presently, Rajputs here are engrossed in different professions as in business, services and agriculture. Most of them are getting admitted to Armed forces of India. Thic race is said to be the descendants of the Brahmins who came to Garhwal region from the plains or the Brhamins who came to visit the religious places of the region. Many of the Brahmins shifted to this region with Rajputs. Both the communities perforated in to the valleys of Garhwal to escape the Muslims invasions. After, invasion they developed colonies which helped them earn their titles as in Ajmer Patti, Udaipur Patti, Telangi after Telangana, Rawat and Joshi after Maharashtra and Rajasthana. This community stays in the upper region i.e. Northern tracts. Mongolians are widely found here, some of the mongoloids have nomadic and semi-nomadic lifestyle. Most of the tribes nowadays are settled and taken up professions like animal husbandry, trade, agriculture and other occupations. Few of the significant tribes of Garhwal are Jaunsaris of Jaunsar-Bawar, Jadhs of Uttarkashi, Van Gujars, Marchas of Chamoli. These are the descendants of Rajputs who are indulged in to business and are born mountaineers. 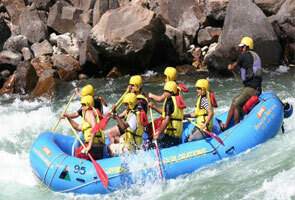 They have migrated here from Kumaon and Garhwal region and have settled in the higher valleys. Bhotiyas have largely settled themselves in the Nepal region in the east of Uttarkashi and along the Tibet border in the west. The bhotiyas those who are putting up nearby Mana pass in vanity to Badrinath and those along the Niti pass are known as Tolchas and Marchas correspondingly. In the south of the region, Jethora Bhotiyas are widely found and those living close to Untadhura pass are the Joharis and Saukas. The bhotiyas worship Nanda devi and Pancha chuli while those who are influenced by Hinduism worship Gabla who is the weather God and Runiya and Suniya Gods, who shields their animals against disease and Bidhuwa and Sidhuwa Gods who help them find their lost animals. This community is found in the chilly dry tracts of Uttarkashi District. 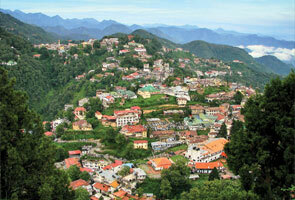 There are two important villages- Nelang and Jadhang that is situated at a higher elevation of about 3,400mts. Most of the members of the community migrate to the forests of Rishikesh during winters while the others stay back at a settlement named Dunda. This community has strong ties with people in the adjoining tracts of Himanchal Pradesh and other regions of Uttarkashi districts. This community people have Mongolian features and speak Tibetian along with Garhwali and Pahari. Most of the Jadhs claimed themselves to have come from superior caste and so the task of weaving was left to kols, who belonged to lower caste. These are the people from the Nothern region of the Dehradun District and are called Jaunsaries. This community is the descendant of the Aryan race. 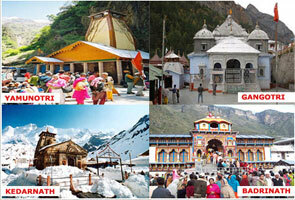 These people follow array of customs today far from cry to other regions as in Garhwal, Himanchal Pradesh and Kumaon. 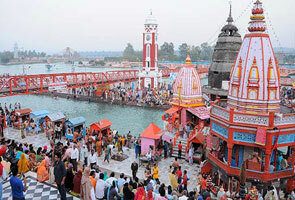 The important festival celebrated by Jaunsaries is Megh Mela. Prominent attire worn by them during the festival is Thorka, Lohiya which is a long over coat. Further, there is a thangel that folds to make a close fitting trouser, Digwa which is a woolen cap and tradition head dress. Women mainly put on Ghagra, Kurti and Dhoti with ornaments. Polyyandry is strill famouns in Jaunsaries, as they are close followers of Pandavas of the Mahabharat era who had common wife, Draupadi. The Van Gujars are said to have come to Garhwal as the dowry of the princess of Sirmaur and are a tribe of nomadic Muslims. These tribes extend from Kashmir and Himalayas and practice diverse customs of earlier times afore they converted to Islam. These Van Gujars are basically vegetarians and live on entirely milk and dairy products. Most of the milk during the pilgrimage season is provided by them and are they are famous for their command over the forest wisdom. In the summer season they migrate to high mountain meadows with their buffaloes, cows and hers and shift from low lying tracts of the region during winters. They also have strong knowledge of medicines and herbs.